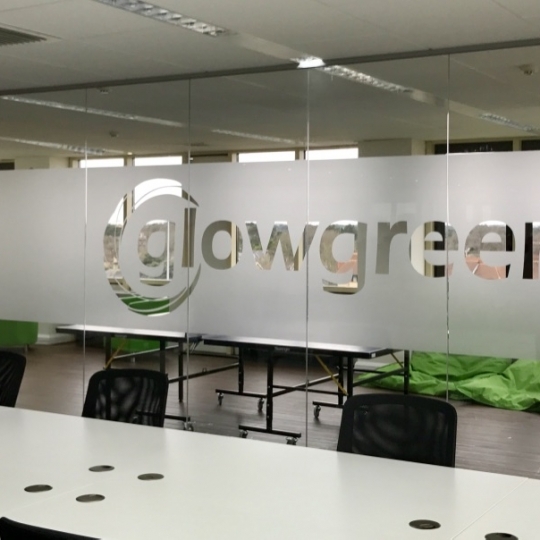 RDP Interior Contractors where contacted by a member of the Team at Glowgreen due to the customer moving to new offices and needed to get this project undertaken before they were to move. 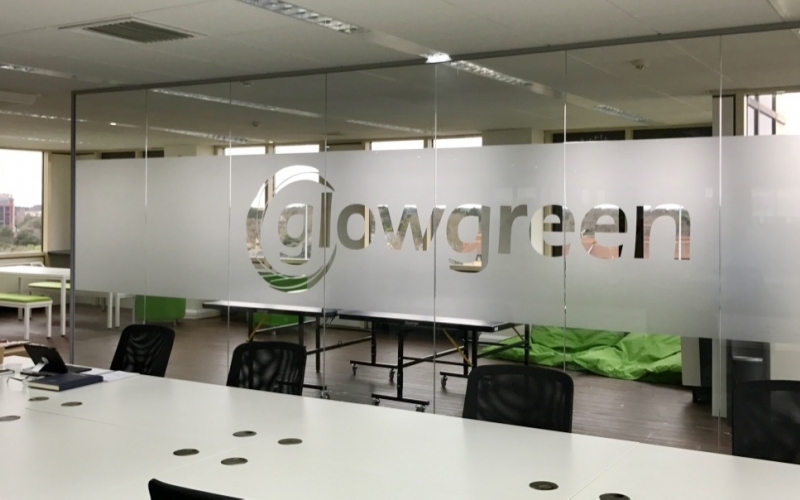 Once the customers requirments were fully understood, RDP got to work to compile a competitive price, whilst designing different variants of the window frosting. Once all was agreed and final measurements where taken, the installation date was set. This project was on the 5th floor of an iconic building in the heart of Bournemouth, and on this occasion the team were able to carry the glass system up the stairs therefore reducing costs and inconvenience of a crane. 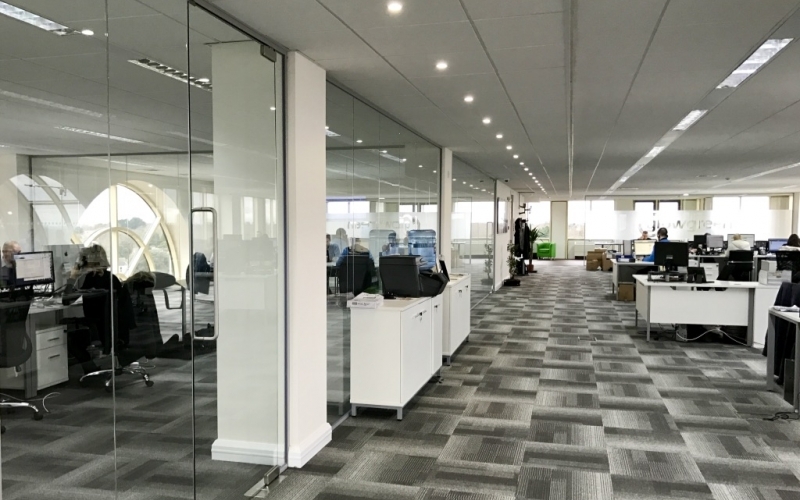 Completed to schedule, the frameless glass partition has given a feel of a much larger space whilst enabling the area to be sectioned off for offices and other varying uses. The frameless system allows for the full view to be un-interupted by a framework which other systems utilise. 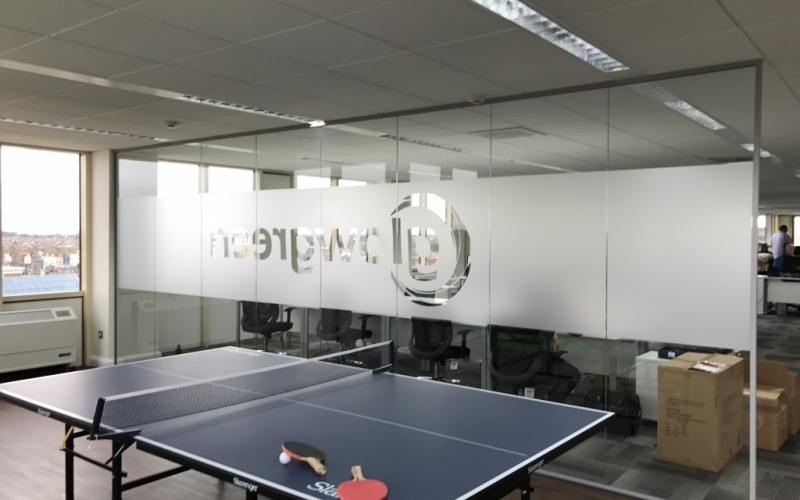 This is one of many installations carried out by RDP, and the each and every time - The frameless glass system gives a very elegant look to any office. 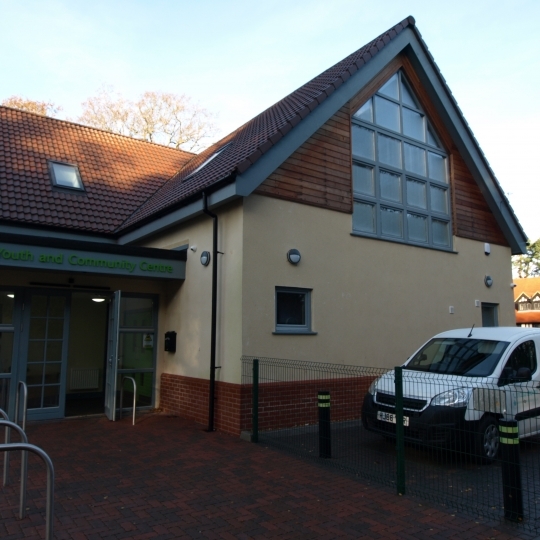 "The system was installed with minimal fuss. 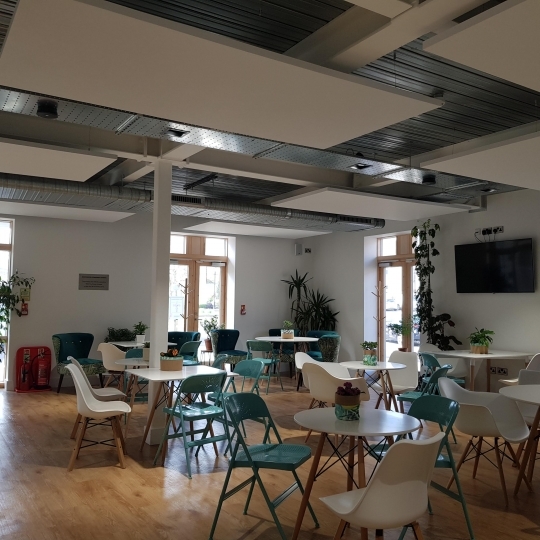 The system which incorporates the company logo allows areas to be segregated whilst still being able to see the stunning views of Bournemouth to be seen from all around our office. ."